General Practice Todayã explores the GP consultation in the context of external 'stressors' and 'helpers' that doctors use to make best clinical decisions. Over the last 30 years there has been a move towards mandatory training on legal aspects, risk scores and guidance. Additionally, with widespread access to IT there has been a huge growth in the information doctors need to know and manage. Yet today's GP has never been more time-poor or under so much pressure. All these outside considerations can seem challenging and remote for the doctor sat with their patient; yet in today's reality they have never been more important. This book offers insight into the practical impact and importance of these external factors. It offers advice on everything from law, technology and time management to mental health issues, ethics, religion and culture, exploring how to determine which issues are relevant to each individual consultation. 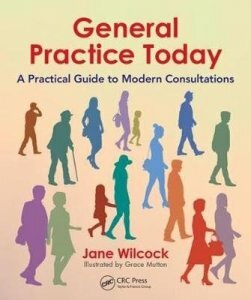 Packing each chapter with realistic examples, author Jane Wilcock draws on her own extensive experience to help GPs make considered, contextual decisions that enhance the health and well-being of their patients. This book is essential reading for any General Practitioner, allied health care practitioner or trainee preparing to practice in our complex modern world.